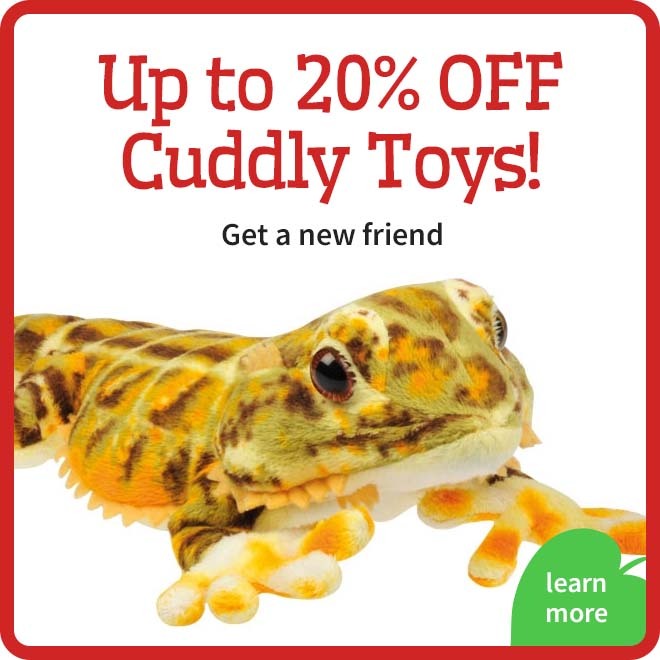 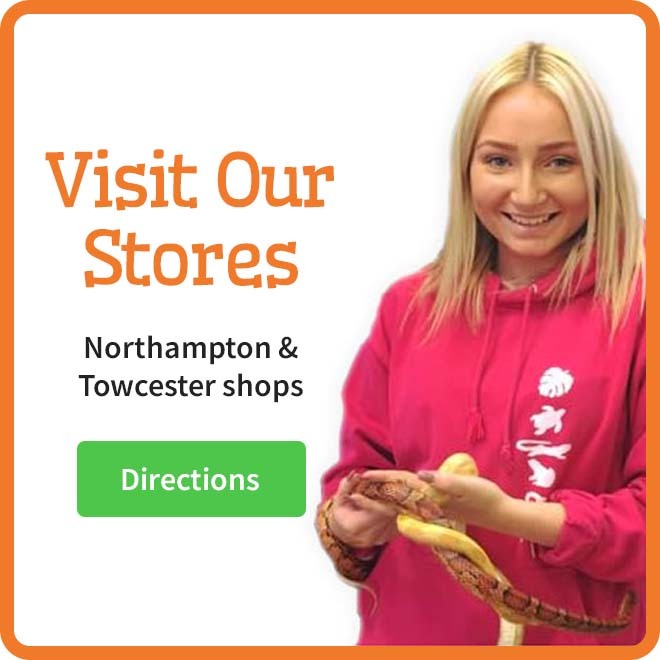 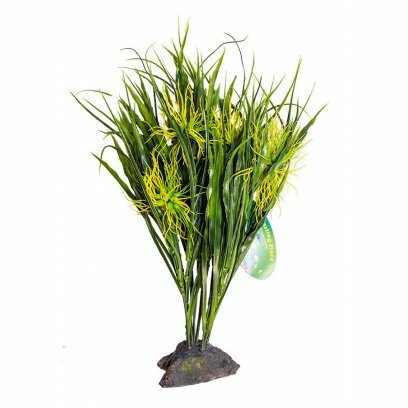 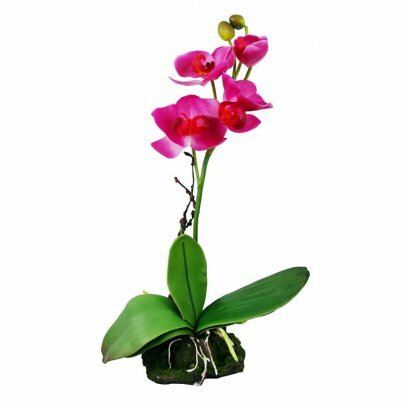 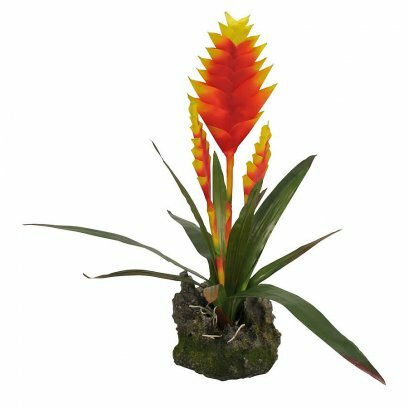 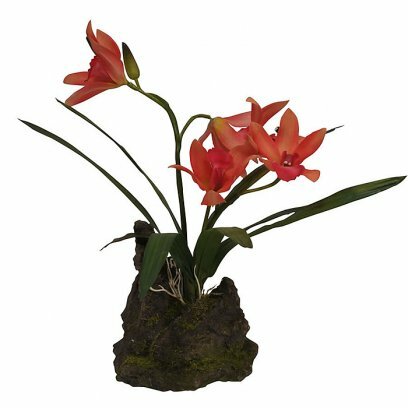 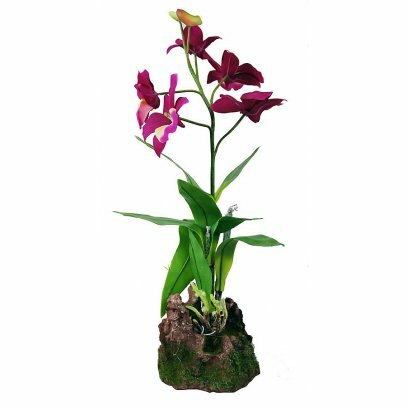 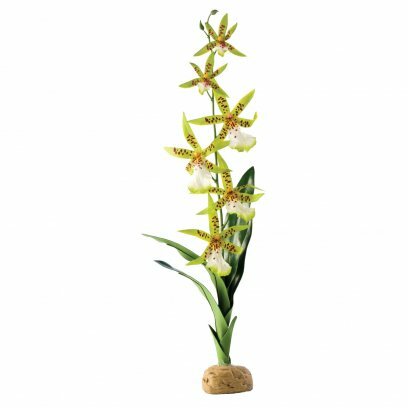 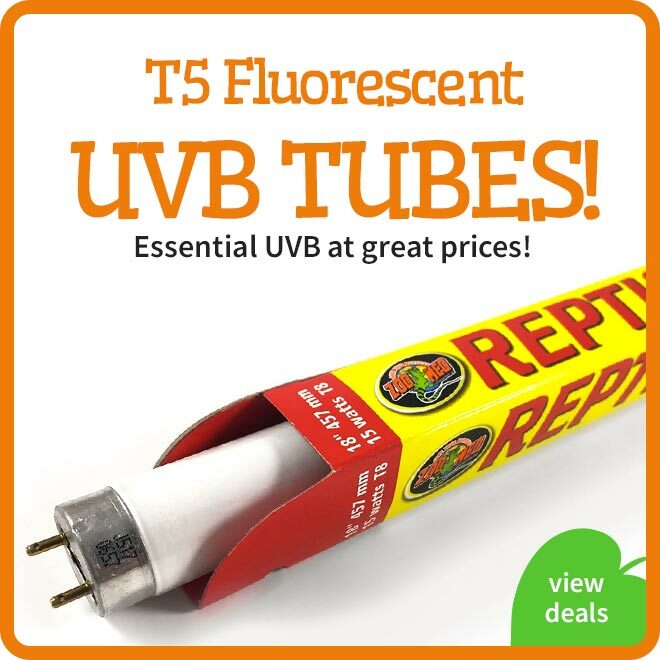 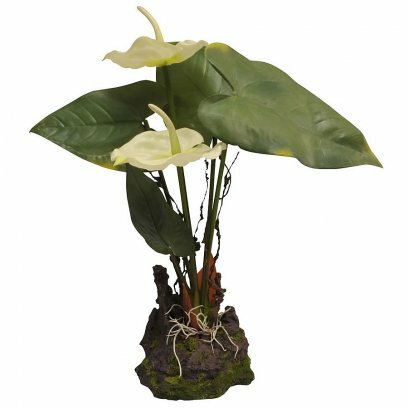 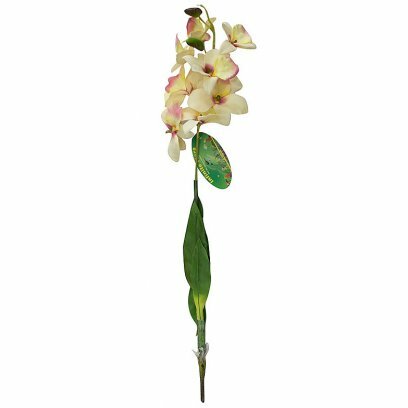 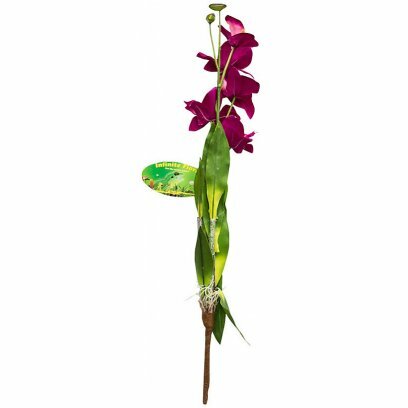 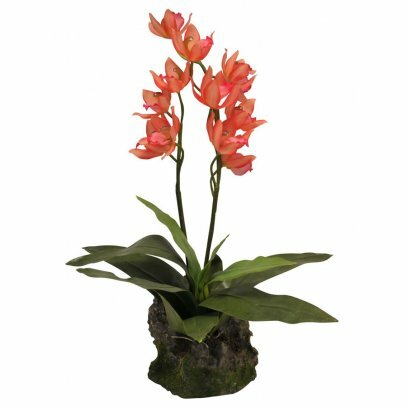 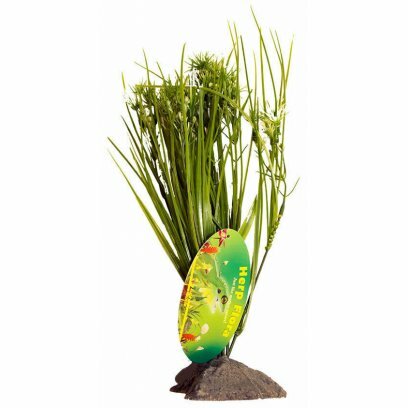 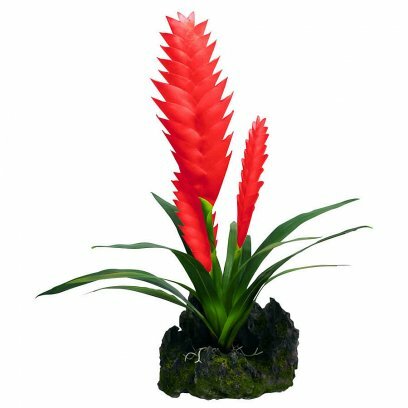 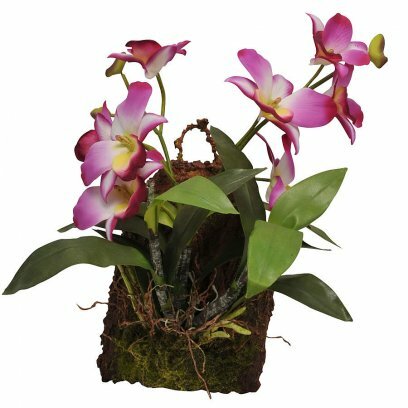 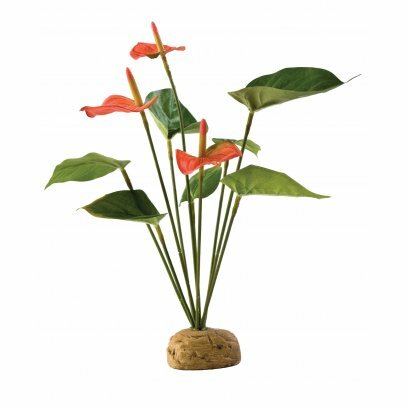 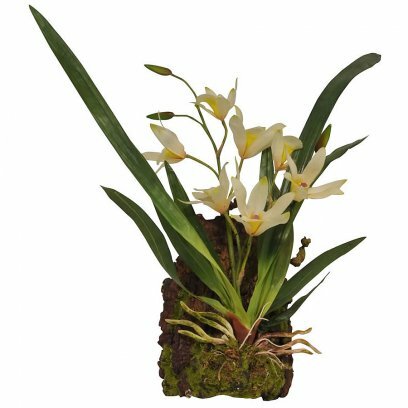 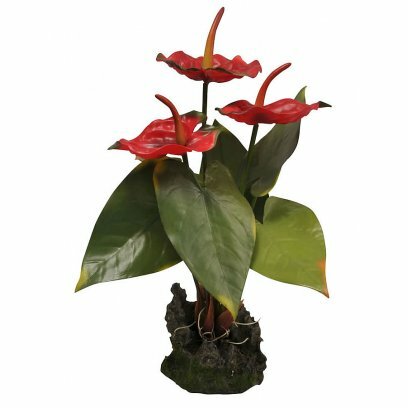 Lucky Reptile Jungle Plants are natural looking copies of attractive tropical plants like bromelias and orchids made from robust plastic. 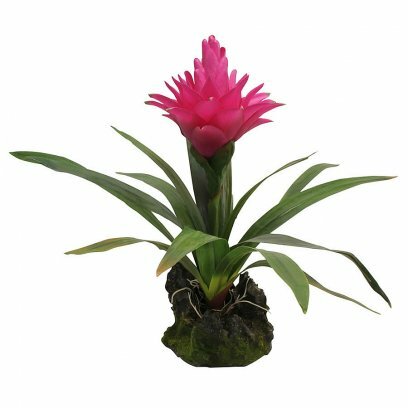 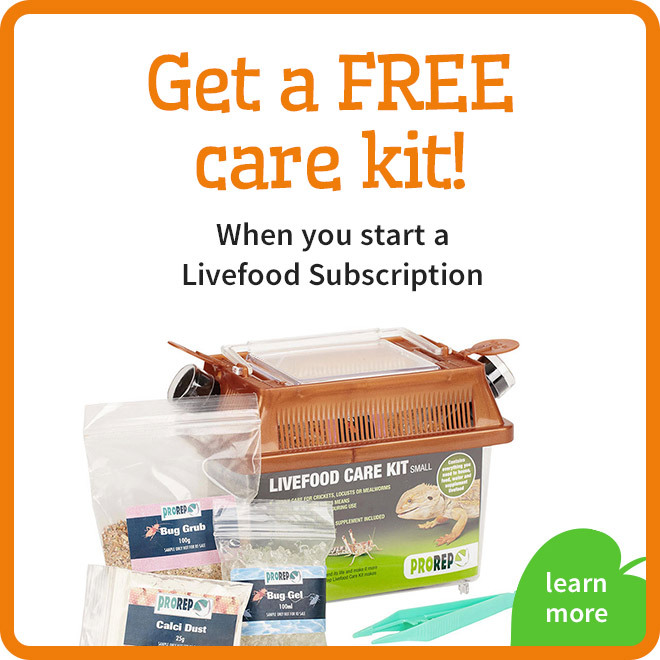 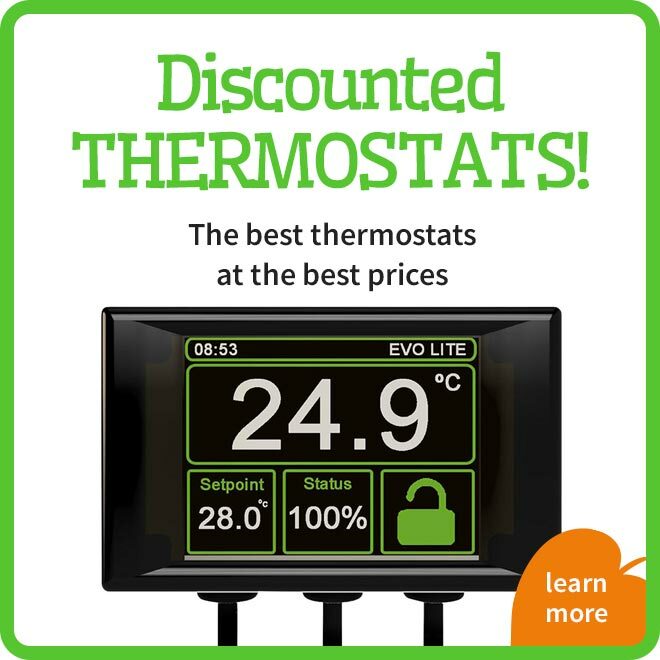 Your animals won't discover a difference to a natural bromelia. 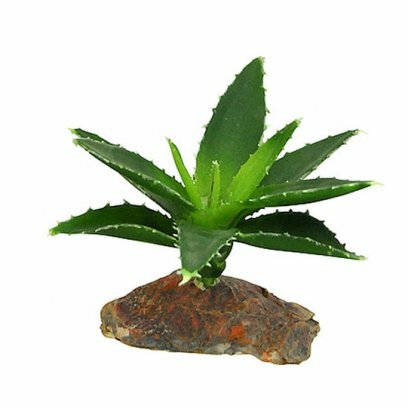 The plants are an everlasting and attractive addition to your terrarium. 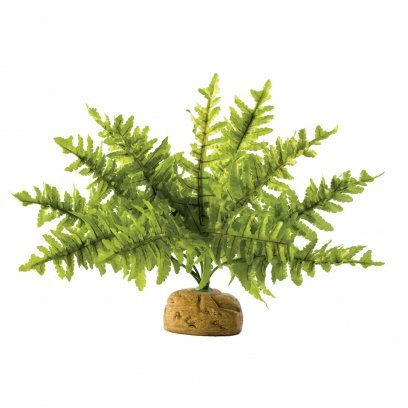 Upright plants are a great way to bring a naturalistic theme to an enclosure without having to worry about plant maintenance. 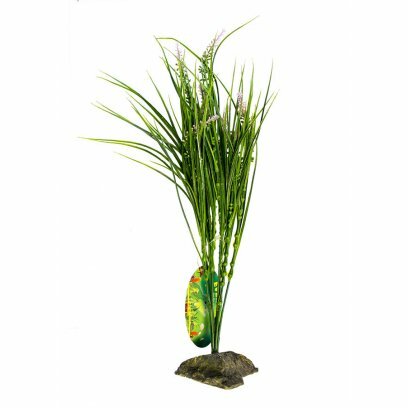 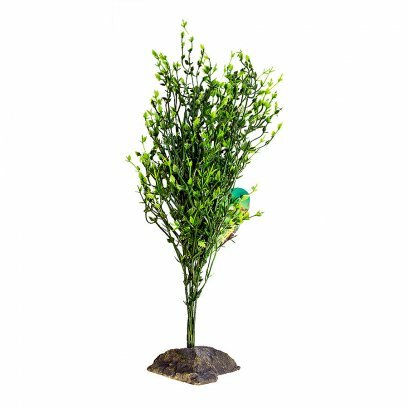 These plants have a weighted base and can be used to create vertical structures within your enclosure. 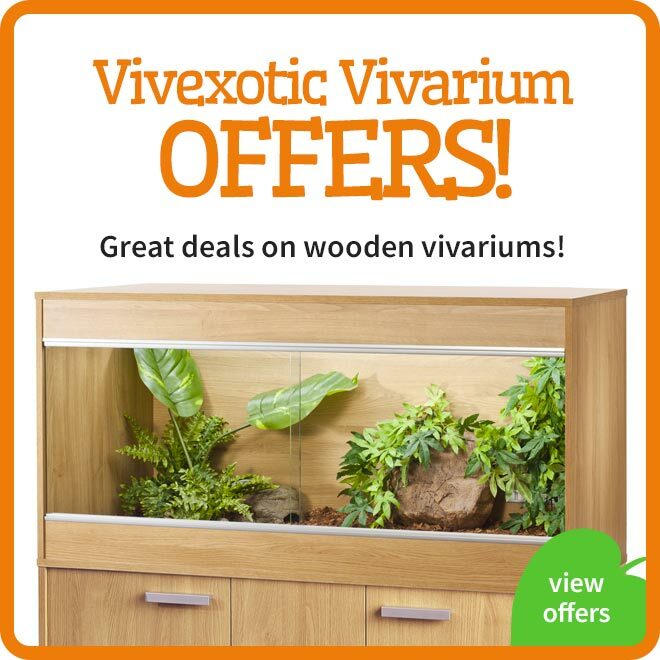 Many of these colourful plants would look great in the corners of a vivarium making the enclosure look bigger and more impressive. 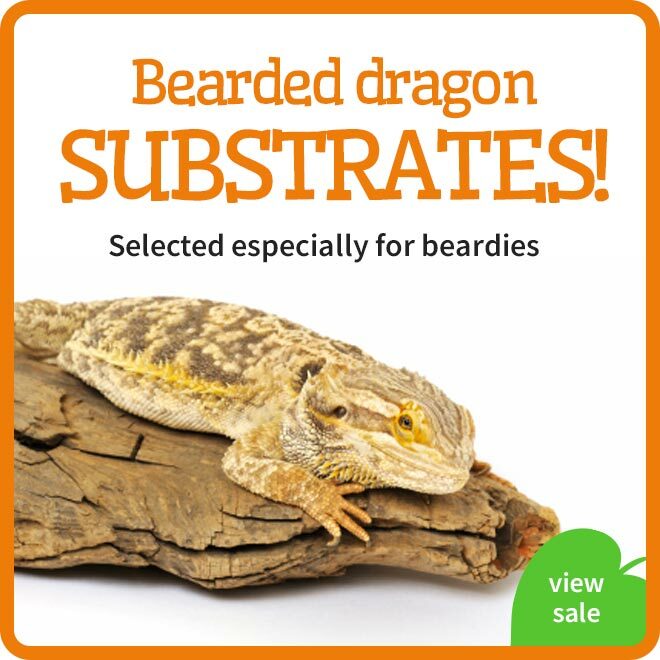 Many of them include large bark bases which create both terrestrial hides and vertical hides. 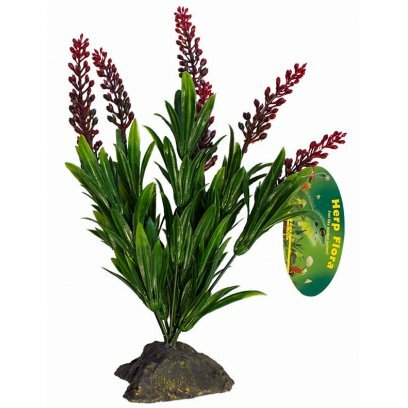 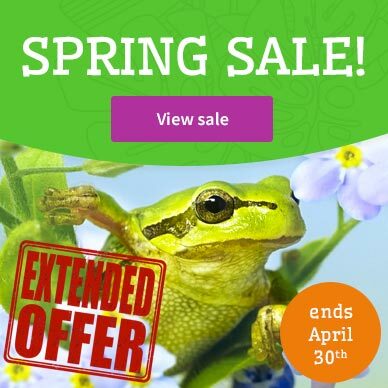 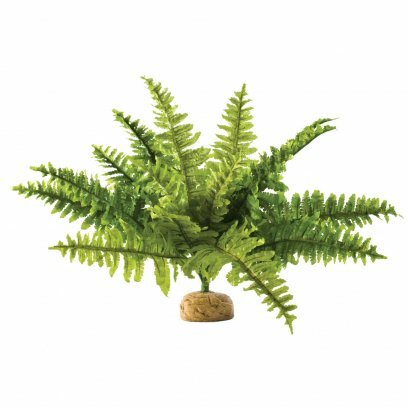 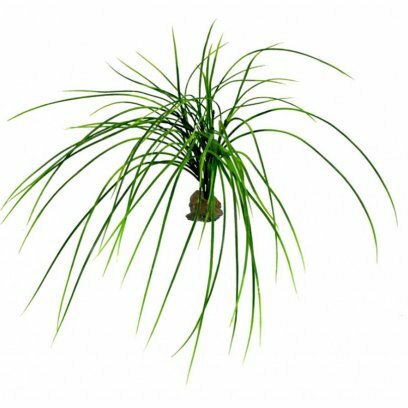 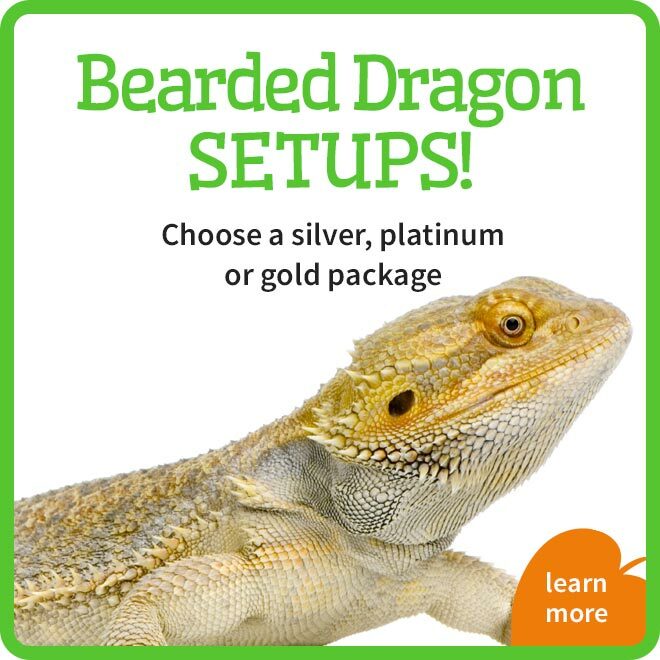 These plants are especially good with arboreal frogs and small species of lizards and gecko as they are robust enough for the animal to sit in.